Buying a house today has many steps and can sometimes seem overwhelming. Although searching for homes for sale is the fun part, obtaining the right lender, to provide the mortgage, is a critical part that many times gets overlooked. One of the big questions that always comes up is the difference between a Bank and a Mortgage Broker. In many instances, people feel as if they fully know the difference, but don't have all of the information for picking the best lender for your specific situation. We will give you the facts on the differences between Banks and Mortgage Brokers so you can be sure to choose the right lender for your specific situation. Most people who buy a home will use a lender to obtain a mortgage. Although obtaining a mortgage is not as fun as searching for houses for sale, getting the right mortgage on your new property can mean much more for your long term finances than getting a great deal on your home. You can obtain mortgage at a variety of rates depending on your credit history and you specific financial situation. Mortgage rates are able to be locked in every eighth of a percent, so it’s possible to get a rate of 4.625%, 4.875%, 5.125%, 5.375%, and so on. Even an eighth of a percentage point for your rate can make a huge difference on how much you pay for your home over 30 years. Elevate Realty Group provides a mortgage calculator so you can get an idea of how the interest rate affects your note. In addition to your rate, you will have closing costs incurred by your lender, which are fees incurred for processing the loan. These costs are sometimes paid up front and sometimes worked into the principle of the loan and paid over time. Lender incurred closing costs can vary dramatically and should be examined closely to avoid what some have termed "junk fees". To add another layer of confusion, you have the ability to "buy down" your rate by paying points, AKA "discount points". Points are ultimately pre-paid interest where you reduce your long term rate by paying up front. A point is equal to one percent of your new mortgage amount. There are many factors which can affect how much money you will be paying on your mortgage, that is why it's very important to choose the right lender. 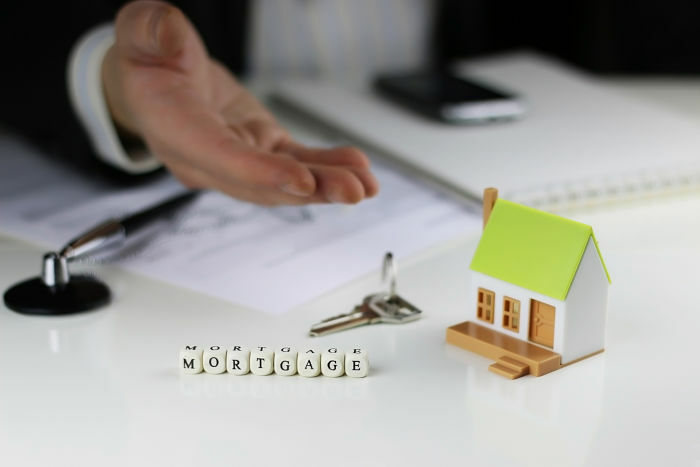 Most people are very aware of what banks do, but we will be comparing the bank's role in obtaining your new home mortgage to what a Mortgage Broker does. Needless to say, banks lend money for mortgages all the time. As a general rule, each bank has a certain client they specialize in. If you happen to fit that criteria, a bank can be a great resource for you. Banks generally offer only a few "mortgage products" -- which are loans that fit a specific use, but offer very good rates on those specific products. Some banks may offer tremendous rates for new construction financing, if you are putting down 20% or more, but may not be as competitive on a FHA loan where the home buyer is putting down 5%. Banks can be extremely flexible on how your mortgage is processed if you specifically fit a product that they specialize in. In most instances, a bank will still offer other products that are outside of their main bread and butter, but you will end up paying more for those types of loans. A Mortgage Broker is someone who has a direct relationship with many lenders. Each lender has specific "products" they offer and guidelines for obtaining those mortgages. A good Mortgage Broker will look over your specific financial situation, and knowing their lenders, will choose the best lender for you. Since they will understand the underwriting requirements for each lender, after looking at your credit and your financial situation, they will submit your loan to the lender that has a product that fits you best. The Mortgage Broker gets paid by a small amount of money for processing the loan. Although this may sound like they are a middle-man, they can actually save you money in the long run by matching your specific situation with a lender that has a product that fits you like a glove. As we mentioned, choosing the right lender is a major part in buying a home. Since the lending process has so many moving parts and so much paperwork, it's almost impossible for the average person to be on top of all of the options and specifics when obtaining a mortgage. Because of that, it's extremely important that you choose a lender you can trust. Generally someone you can sit down with face-to-face and returns your phone calls when you have a question. In many instances, your REALTOR will have quite a bit of experience with a variety of local lenders in your area and can provide some direction. Keep in mind, your real estate agents job is to oversee the entire home buying process and they don’t see a penny unless you close on your new home. That being said, your real estate agent will usually put you with the best lender they know for your situation as they want to make sure your home closes without a hitch. A very nice comparative post between banks and broker. I really enjoyed this post. I'm associated with a <a href="Ant.M@ezonlinemortgage.com">mortgage broker</a>. So I know what's the difference. Thanks for sharing your post.